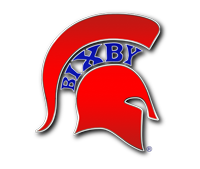 Every athlete that participates in a Bixby school-sponsored sport(s) must have a Physical on file before any physical participation is allowed. This includes summer workouts and camps. By coming to this Physicals Night, the student-athlete will also receive a free All-Sports Pass to attend any non-playoff home athletic event. • The physical must be renewed after May 1st each year. • In addition to the Physical, we must also have a completed and signed Parental Consent Form. This form also contains Medical History questions. • We encourage ALL Bixby school-sponsored athletes, even if you are unsure on a tryout result or if you want to play, to get their Physical on this night. • Physicals are 6:00pm-7:30pm. Line starts by Old Whitey Lobby on the south side. • Additional details about Physical Night can be found on the Social Media Flyer link. • Discounted All-Sports Passes for parents, friends, family etc will also be available to purchase during event. 1) Pre-Registration is strongly encouraged and discounted. Opens February 11th.